SQL (Structured Query Language) is a special-purpose programming language designed for managing data held in a relational database management system (RDBMS). The scope of SQL includes data insert, query, update and delete, schema creation and modification and data access control. 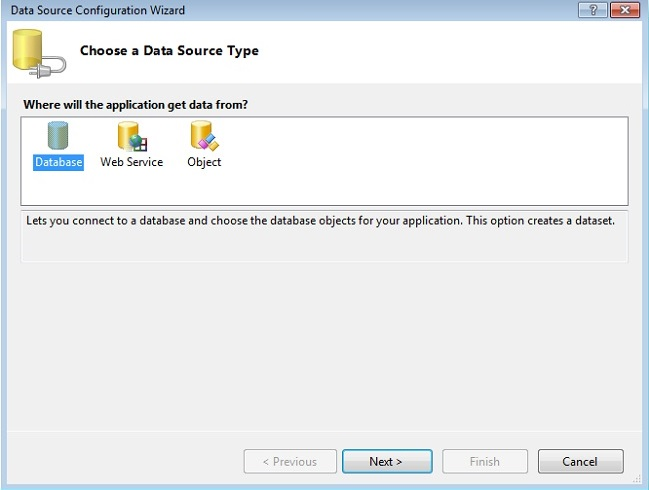 Download and Install SQL CE directly to the FlashDisk of the device from here. 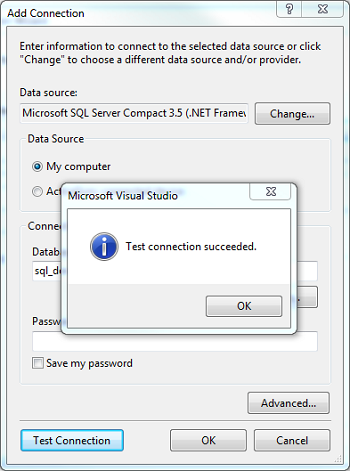 Click on Next and then New Connection, Type Database name and test Connection. Press OK, then next and then Finish. 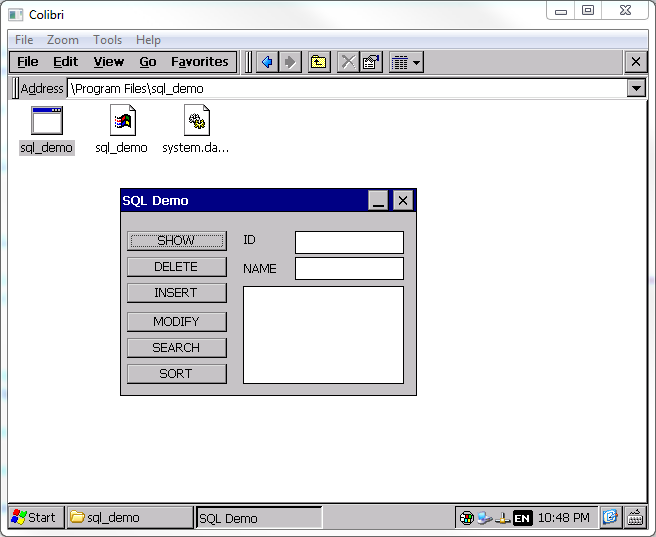 In server Explorer Right Click on Tables under sql_demo.sdf and click create Table. 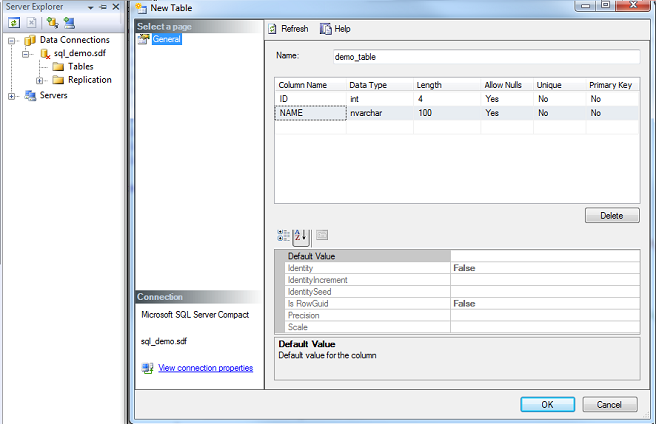 Following window will come enter table name and column, then press OK. 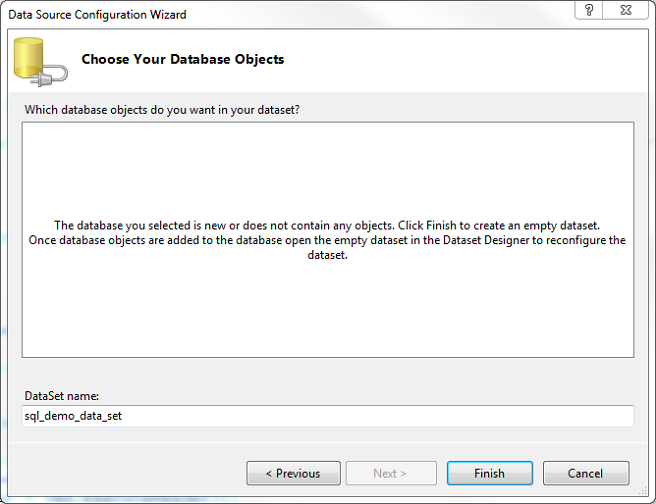 NOTE: you may not need to make database for the demo project as its already provided in the sql_demo folder. 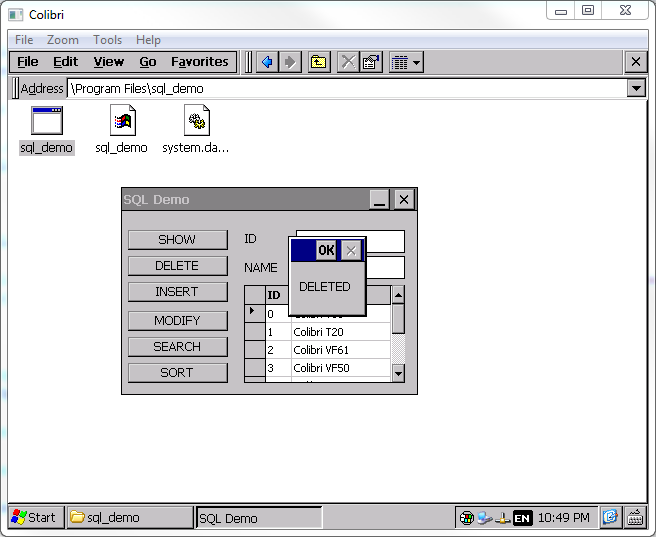 Run sql_demo.exe from Program File folder on Toradex module. Select row and Press DELETE button, selected row will be deleted. To insert, enter ID and Name in corresponding textbox and press INSERT button. To modify, select row and click MODIFY and then enter ID and NAME. To search, enter ID and then press SEARCH button. To sort, simply press SORT button,it will get sorted. 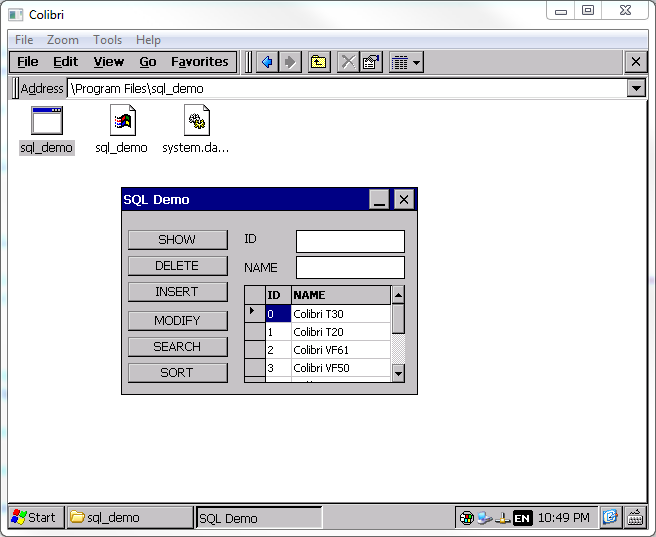 For connecting to Microsoft SQL Server running on a remote server/desktop machine, while running the client on a Colibri module, we were able to connect to the Microsoft SQL Server over Ethernet using a C# application. For this scenario, if "Can't find PInvoke DLL 'dbnetlib.dll'" error is encountered, the dbnetlib.dll needs to be copied from the path C:\Program Files\Microsoft SQL Server Compact Edition\v3.5\Devices\Client\wce500\armv4i to the application folder from where the application is being run on the module.